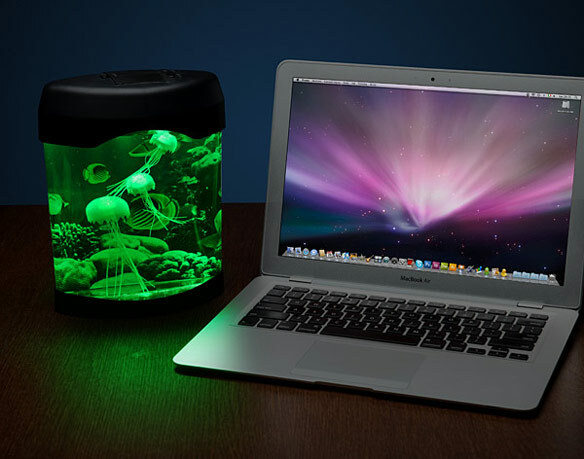 This LED Jellyfish Mood Lamp will be a beautiful addition to your desktop and give you something pretty to look at while you work. 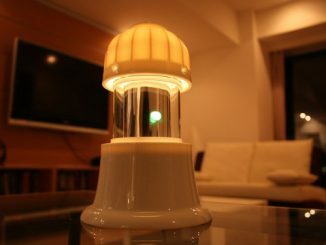 It’s a desktop lamp that has a mini sea of jellyfish. 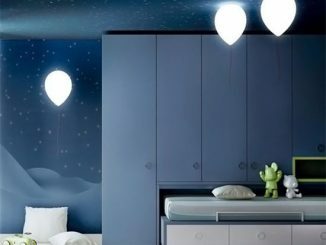 Watching them float around will be calming and Zen-like. 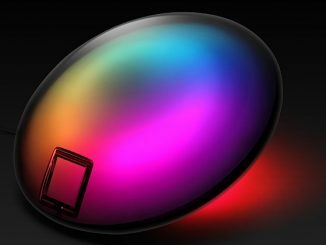 The LED colors can even be changed depending on your mood. 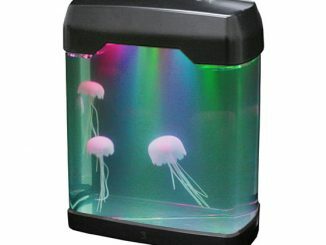 LED Jellyfish Mood Lamp is $29.99 from ThinkGeek.com. 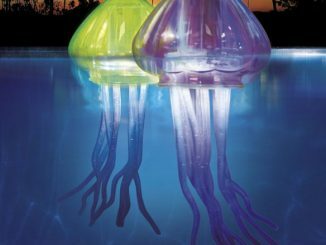 one of my jellyfish’s legs got caught in the pump. I pulled it out but a bit of the leg is still in there and now the fish are floating at the top of the tank like dead. I can’t get to the pump because it’s totally sealed. Any ideas as to how to fix? 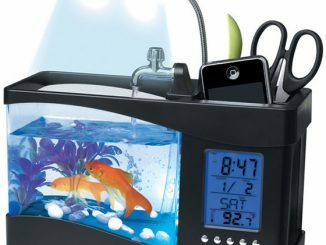 This particular item I adore, the sad thing is that Australians are often left out due to incorrect power supply.. & not wanting to plug anything to computers~ why isn’t there battery available? 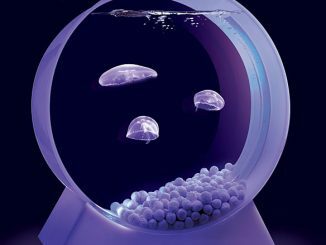 And the two in a tube looks great on violet colour, again though it’s hard to understand whether it will work in Australia… I am only looking at the Artificially put together jellyfish tanks, & have others interested though why is there no assistance for those of us Down Under”? 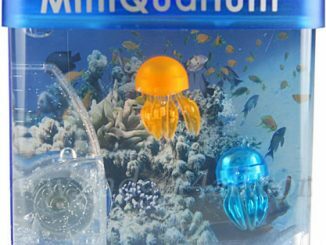 Here’s a new version of those popular jellyfish aquariums. 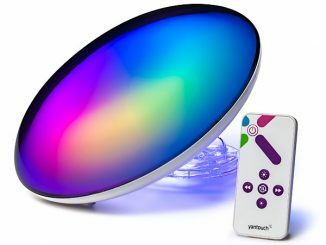 This latest “moody light” model is equipped with multicolor LED lights that lets you circle though five soft lights. 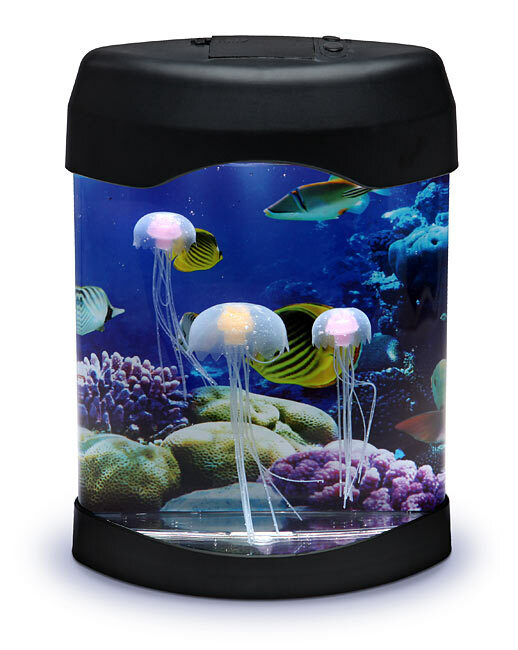 This aquarium features three artificial jellyfish that moves around in the water, surrounded by seaweed and coral reefs, while LED backlighting highlights their movements.